If you would like to setup an interview and/or tour the exhibit, contact Sherlene Shanklin with VIPP Communications at 502-295-0435 or by email info@vippcommunications.com. We hope you are able to post on your community calendar so your viewers and/or listeners get an opportunity to see the exhibit while in Louisville. (Louisville, KY) The music scene continues to grow in the Louisville bringing in all types of genres. Now, a rap music fest is coming to give you a diverse platform and several types of rap from southern to east coast rap. DRIPFEST will be held on Friday, October 19 th at the Louisville Water Tower Park, 3005 River Road. Also, performing at DRIPFEST on October 19 th will be artists Dusty Leigh, BSimm, INDY Cut and BBlasian To support area entrepreneurs, we will have a food trucks for you to purchase their specialty foods at an economical price. Gates open at 6:30 pm. The show will begin at 8:00 pm. General admission tickets are $75 and VIP tickets are $125 with a special meet and greet. You can purchase tickets at Eventbrite.com or stop by Michael JS in Mall St. Matthews, 5000 Shelbyville Road; HairLaFlair Boutique, 1859 Berry Blvd; DBA Couture, 5017 Poplar Level Road; Lil Pat’s Barbershop, 821 North Wilson Road in Radcliff, KY; Better Days Records East, 1765 Bardstown Road and Better Days Records West, 2600 W. Broadway #104. Be sure to tune into 98.9 FM and 93.1 FM to win tickets to DRIPFEST 2018 at the Louisville Water Tower on Friday, October 19 th . Please announce and/or post on your media platforms. If you would like to setup an interview with the organizers of DRIPFEST or local artists performing contact VIPP Communications at info@vippcommunications.com . Family Day in the Mobile Science Activity Center, (MSAC) trailer developed by the Kentucky Department of Agriculture to introduce youth into high-tech instruments to learn more about agriculture. Katie participated in the Miss America Pageant on Saturday, September 9th, from historic Jim Whelan Boardwalk Hall in Atlantic City, NJ. Even though she did not win the crown she won the hearts of many across the U.S. for her character, poise and scholastic achievement. She represented the Commonwealth of Kentucky in a huge way on one of the biggest platforms to empower young women striving to achieve greatest in their particular community and field of study. support system of followers and guests a unique experience. Imagine if all the promoters would come together to create and show a united front because they are the trendsetters in the community and they have the influence to set the standard. 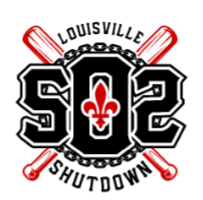 So, on September 15 th and 16 th ten Louisville-based promoters will team up for the “Louisville 502 Shutdown”. This is a major collaboration of Big Don MJ, The Gentlemen of Dream Team, Keys2KY, BHen Entertainment, Elite Society, Southside Entertainment, DJ Equip, FAO, Lil Wayne and JRock Entertainment, and B. Smith Entertainment. 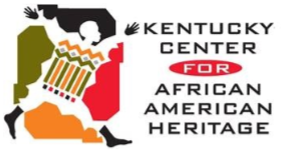 The weekend kicks off at the Kentucky Center for African American Heritage, (KCAAH) located at 1701 W. Muhammad Ali Blvd for their Louisville 502 Shutdown Day Party. Each promoter’s fanbase will start at KCAAH with three rooms to party from 5:00 pm to 10 :00 pm. The DJ schedule is just as impressive. Promoters has assembled a dynamic roster of party starters. You can see them around the city in their particular club and/or major event. Many have garnered regional and national attention for their skills and five of them will work the day party to get the weekend started. DJ Samosa, DJ Butter, DJ Lil Jerry, DJ Kaos, and Rockstar Renegade will party until the sun goes down. Then your 502 Shutdown experience moves. Two different venues but both guaranteed to have you dancing late into the night. Some will head to The Hideout at 934 Baxter Ave while others will go to Cole’s Place at Kentucky Street for their official after-parties. DJ Knitti, DJ Lil Jerry, and Hype man Face will be at Cole’s and DJ Cam and DJ Znyce will be at The Hideout. To conclude their grand slam weekend, on Sunday, September 16 th at MVP Sports Bar, 5011 Poplar Level Road. DJ Phats, DJ Lil Jerry, Rockstar Renegade and DJ Eb will wrap up the collaboration as you enjoy their music, food and watch a few games. The inaugural weekend is guaranteed to fill that void that party lovers have been missing. Ten promoters teaming up to give you’re the ultimate party experience. You can purchase tickets at various locations: Wing Station, 2119 Crums Lane; Better Days West, 2600 West Broadway; Hair La Flair, 1859 Berry Blvd; Michael JS, St. Matthews Mall; DBA Couture, 5017 Poplar Level Road and/or got to Eventbrite.com. For additional information call the Louisville 502 Shutdown hotline at 502-472-2069. (Louisville, KY) Inside the Lines Training, Inc. (ITL) will host their inaugural Cards vs Cats Golf Scramble on Monday, July 2 nd at the Nevel Meade Golf Course, 3123 Nevel Meade Drive, Prospect, KY. The scramble will support programs to assist local youth athletes through education, leadership development and physical training. Their goal for the charity event is to raise $25K. Registration begins at 7:30 am and the teams will tee-off at 9:00 am. To participate in the golf scramble the registration fee is $100 per person or $300 for a team of four. Space is limited so if you would like to play register by emailing Anthony Richardson at insidethelinestraining@gmail.com. The following players have agreed to participate and/or send memorabilia for a silent auction presenting their teams. For the Cards it will be: Michael Bush, Tony Williams, Jamon Brown, Earl Heyman and Mario Urrutia. The Cats who’ve agreed to participate are: Keenan Burton, Garry Williams, Alex Poythress, and John Wall (memorabilia). Additional names will be released in the coming weeks prior to the scramble. Others also confirmed to participate is Mohamed Sanu and Ben Simmons (memorabilia). Inside the Lines Training Inc. is a non-profit organization whose mission is to enrich student athletes with tools to excel academically, while enhancing characteristics of leadership, responsibility and work ethic. They seek to establish these principles while creating a strong athletic foundation through sports specific training. To learn more about Inside the Lines Training and the Cards vs Cats Golf Scramble go to www.itltraining.org. We would love to have you cover our scramble. To set up an interview, please contact Sherlene Shanklin with VIPP Communications at sshanklin@vippcommunications.com or by calling 502-295-0435. ATLANTA, GA AUGUST 2018 – Phyllis Newhouse and Viola Davis have come together as Co-Founders of a new global women’s movement called ShoulderUp. Around the world, women who represent economic power and voices of influence, have come together to launch what many believe to be the most impactful and important movement of our time. These are women dedicated to connecting andsupporting other women on their journey, in an effort to bring about change where and when it is needed the most. After spending 22 years in the Army developing computer technologies for homeland security, Phyllis started her own business from scratch, as a mother who is single. 16 years later, she won the the 2017 Ernst & Young Entrepreneur of the Year Award, for Technology, and her company, Xtreme Solutions, Inc., has been recognized as being one of the 50 Fastest Growing Women-Owned Companies in the U.S. consecutively for the past six years. She is also member of the Women Presidents Organization, the Belizean Grove, and Women Impacting Public Policy (WIPP), as well as a Partner in the Legend52 Fund. Named by Time Magazine as one of the 100 most influential people in the world in 2012 and 2017, Viola is a critically revered actress of film, television, and theater. She was Oscar- nominated for her performance in The Help , won an Academy Award for Fences, and received a Prime Time Emmy Award for her work in ABC’s How To Get Away With Murder. Viola is the only black person to achieve the Triple Crown of Acting (an Oscar, an Emmy, and a Tony). She and her husband, Julius Tennon, are the founders of the production company JuVee Productions. (Louisville, KY) They dominated the headlines as the underdog team with the hearts of champions. Eliminating team after team to reach the pinnacle in college basketball with a record of 31 wins and only six loses. Now, the members of the Cardinal team will gather for their five-year reunion and the team wants to celebrate with you, their fans. 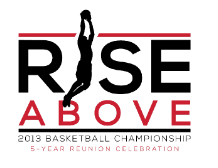 On Friday, June 29 th , it’s Rise Above with the 2013 Basketball Championship 5 th Year Reunion Celebration at Fourth Street Live, 400 S. 4 th in downtown Louisville. Doors open at 5:30 pm and the celebration will begin at 6:00 pm. The evening will be filled with activities, giveaways and a meet and greet with the team. Fans will get a special treat because you will get to relive the 2013 championship game with the team. As you watch the game, you will get to ask players and staff in attendance what were they thinking and how surreal it was to win that championship game at the Georgia Dome in Atlanta on April 8, 2013. Here’s the names of the University of Louisville 2013 team: Gorgui Dieng, Peyton Siva, Russ Smith, Luke Hancock, Kevin Ware, Montrezl Harrell, Mangok Mathiang, Logan Bauman, Tim Henderson, Wayne Blackshear, Chane Behanan, Zach Price, Michael Baffour, Mike Marra and Stephan Van Treese. All of the players will be in attendance at the celebration except for Dieng who had prior obligations in his hometown of Senegal. Tickets start at $20 for general admission. Children 12 years old and under get in free with a paid adult admission. You can purchase them at ticketfly.com. You can also purchase them at the gate as you enter Fourth Street Live. 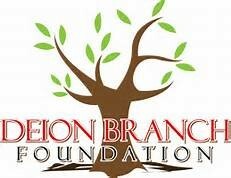 You still have an opportunity to be a sponsor and show your support by contacting Roger McClendon at riseabovereunion@gmail.com. To setup an in-studio or phone interview and/or to confirm your attendance at the celebration contact Sherlene Shanklin, interviewrequest@vippcommunications.com or 502-295-0435. (Louisville, KY) Back to school never sounded better when hip hop artist and Louisville native Dusty Leigh brings his vision to life. He asked a few friends to travel to Louisville to help collect school supplies for youth. 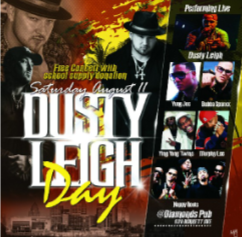 With no hesitation the lineup was formed with some of the top names all performing on Dusty Leigh Day on Saturday, August 11 th at Diamonds Pub, 630 Barrett Ave starting at 8:00 p.m. Doors will open at 7:00 p.m. So, come out and enjoy the show and help area youth at the same time. On August 11 th , Leigh will announce what organization(s) he will be partnering with to make sure the supplies get in the right hands. To set up an interview, please call Sherlene Shanklin, at sshanklin@vippcommunications.com or by calling 502-295-0435. We have provided photos of this evening’s pageant. Please feel free to use. The photo credit is Ryan Kendall. 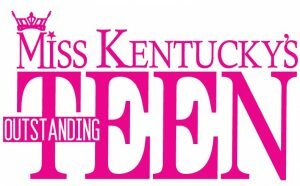 changing Kentucky, one young woman at a time!